Welcome to another edition of His and Hers (see our last one here). 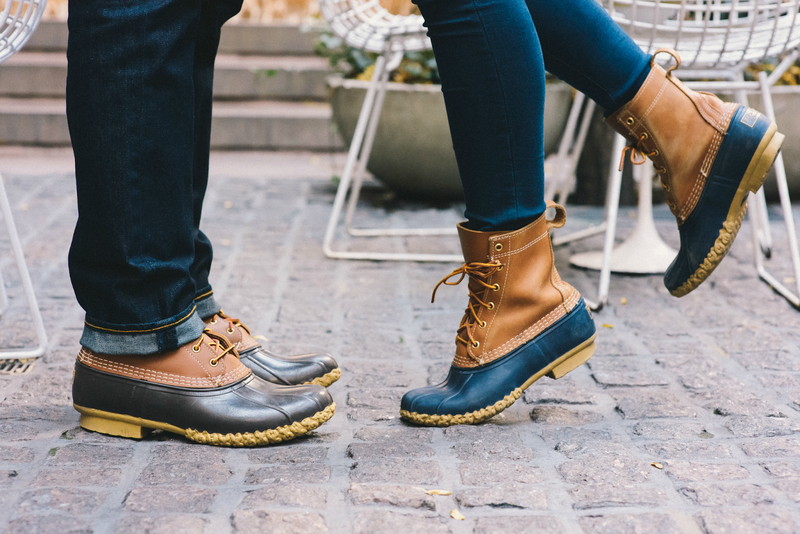 Today is all about our Bean Boots. While I know they're backordered until April (I told you to buy them early!) I thought it would be fun to show how we each style the boots. I'm pretty happy to say I turned Andrew on to these shoes after how much I raved about them. I l-o-v-e my bean boots and wear them every chance I get. I also think people are crazy who don't own a pair and I urge others to snag some when they become available! 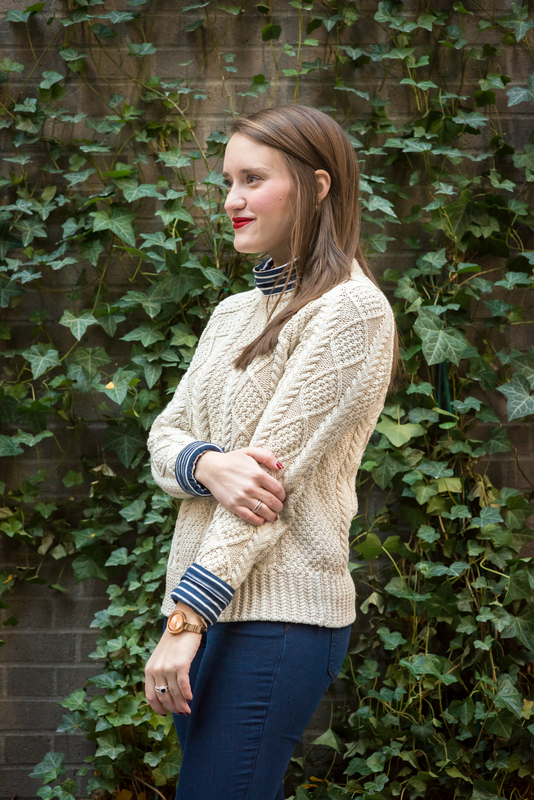 I always like to style my boots with layers and in this case, a fisherman sweater (my favorite one) and a turtleneck. The layers are perfect for cold weather, just like the boots. I also love to pair the boots with camp socks, but for this look I decided to skip. The sweater up top is bulky enough I didn't need more added layers on the bottom as well. The boots are indeed a great purchase (h/t Krista). I'm also glad I took her advice and bought them early. I couldn't believe the back order numbers when I saw them. Still, it might be worth reserving yours. Handmade in Maine, they are of the highest quality and come with a lifetime guarantee. I went full lumberjack with this look, pairing my flannel with a puffer vest. Also, it took me a few years, but I finally found a pair of dark wash jeans I like. These are from J. Crew, whose denim is wonderful. Now if you'll excuse me, these trees aren't going to chop themselves. What a cute session with you both! Love these pictures! I have yet to buy bean boots, but since I am going to college next year (where there will be plenty of snow!) I need a good pair of boots like this! yall are seriously so cute! I love my bean boots and wear them ALL the time! 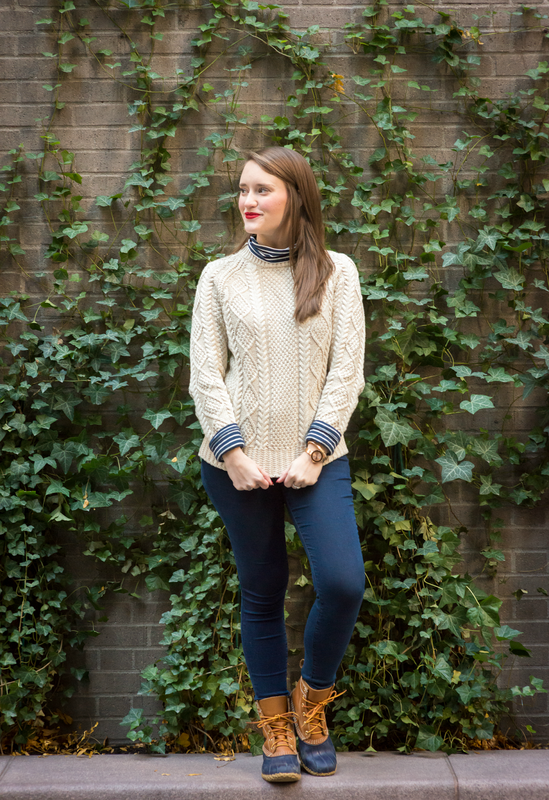 Love your bean boots and this outfit- you two look great together!